IS THERE A PERFECT LIVEABOARD BOAT? Do you dream of living on a boat? Do you know which boat to choose? This guide will provide no magic answers, but it will help you narrow the search to make that momentous decision. We walk you through practical considerations like hull construction, new or secondhand, how big, catamaran or mono and boat-buying expectations. It is illustrated with sketches, inspirational quotes and some snippets from our own story. Do your research. Take your time. Be ready to compromise. Then you will find the boat that sings to you. …a must read for anyone contemplating a different lifestyle guided by Neptune. Leave a copy on the coffee table, say nothing… have it open on a page with a beautiful photograph from Jamie…. when it catches your reluctant sailing partner’s eyes….half the work will be done! Liz writes for a number of print publications including Yachting Monthly and Sailing Today. Jamie is a member of the Royal Photographic Society and is LRPS accredited. Their home is SY Esper, an Oyster 435 cutter-rigged ketch built in 1989. They picked up Millie-the-cat in Turkey, then sailed through the Red Sea, stopping in Egypt, Sudan, Eritrea, Yemen and Oman before heading to India, Maldives, Malaysia, Thailand and Indonesia. 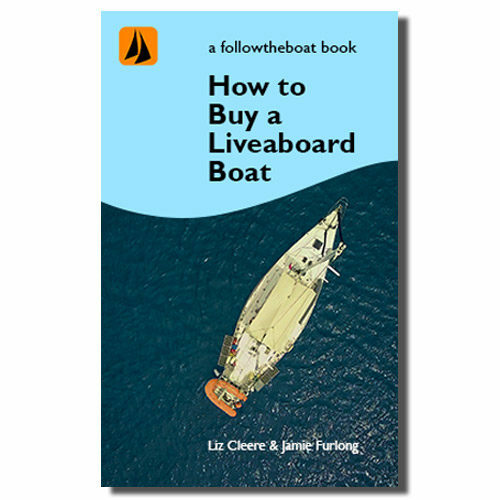 They upload weekly episodes to their popular sailing channel, followtheboat, in which they tell it like it is and are not afraid to show the less glamorous side of cruising. 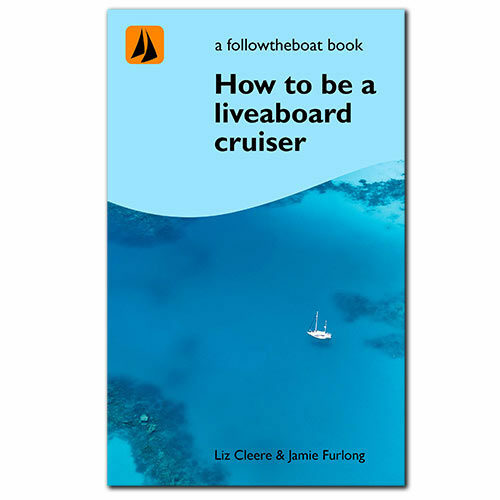 Their videos have helped inspire many wannabe-liveaboards to make the leap. Great ebook, very thorough detail of what to look for and what to think about before making any costly mistakes. It is very well written, with great content. The only suggestion I would make is maybe more pictures for us visual kind of people. It also helps that Jamie & Liz are great down to earth people. We would highly recommend the ebook. Thank you for the kind words, we’re glad you found it useful. We avoided too many pics simply because most e-book readers reproduce in black and white. There are only so many pictures we had that worked as sketches, but we’ll keep our eyes peeled for suitable images. What did you have in mind? 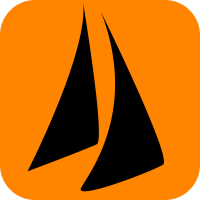 Fair winds to you all aboard s/v Compromise.